The National Concert Hall (NCH) launched its national Health and Wellbeing Programme on 26 March 2019. The programme aims to enrich the lives of those living with long-term health conditions through participation in music. The Health and Wellbeing Programme operates across 20 counties and contributes to physical and emotional wellbeing through participation in music. The programme is built on the belief in the power of music to effect positive, holistic outcomes across a broad range of areas including for mental health, in paediatric healthcare, for dementia and for recovery from acquired injuries. 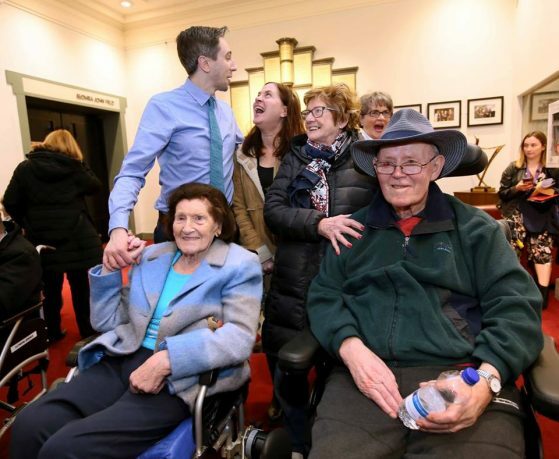 Minister for Health Simon Harris TD officially launched the programme at a special event in the NCH which included a dementia friendly performance by the Tea Dance Tunes band. Music in Mind (Music for mental health), a programme of participative music workshops operating in sixteen centres nationally for people in the community living with mental health difficulties. The programme aims to improve quality of life and enhance mental wellbeing through active engagement with music while also providing social opportunities and a new method of self-expression. Music in Children’s Hospitals (Music in paediatric healthcare) is a music programme delivered with NCH partners Kids’ Classics in eight paediatric hospitals around Ireland. The programme consists of music on the wards, workshops on the classroom and concerts for special occasions, all of which contribute to a positive hospital atmosphere and provide respite from the monotony of hospital life. Health and Harmony (Music for dementia) brings musical performance to people living with dementia, their families and their carers in twelve centres nationally. The objective of the programme is to enhance the sensory and communication experience of those living with dementia and to reduce their anxiety and agitation. Music in the National Rehabilitation Hospital (Music for recovery from acquired injury) brings music into the wards, common rooms and chapel of the hospital in a bid to improve the quality of life of people recovering from or living with life- altering cognitive or physical injuries.